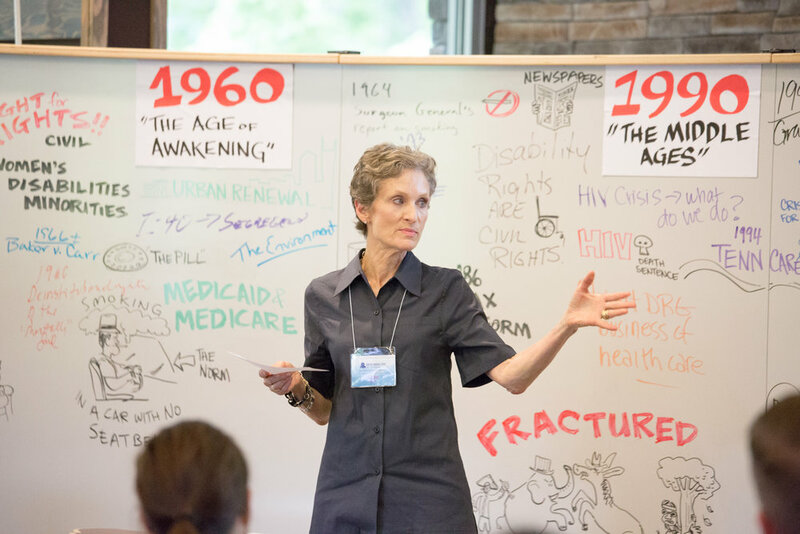 Kate Ezell connects her clients and their initiatives directly with decision-makers needed to make the kind of social change that improves the quality of life in our communities. Kate Ezell moderating Design Shop at Nelson Andrews Leadership Center. Ezell Consulting’s services include community relations, fundraising, project management, product market analysis, and market introduction. Engagements with Ezell Consulting—with Kate as an individual or building a team around a project—range from one-time consultations to long-term consulting contracts. In many cases, Kate and Ezell Consulting are the added layer of manpower necessary to test and implement community or product initiatives. 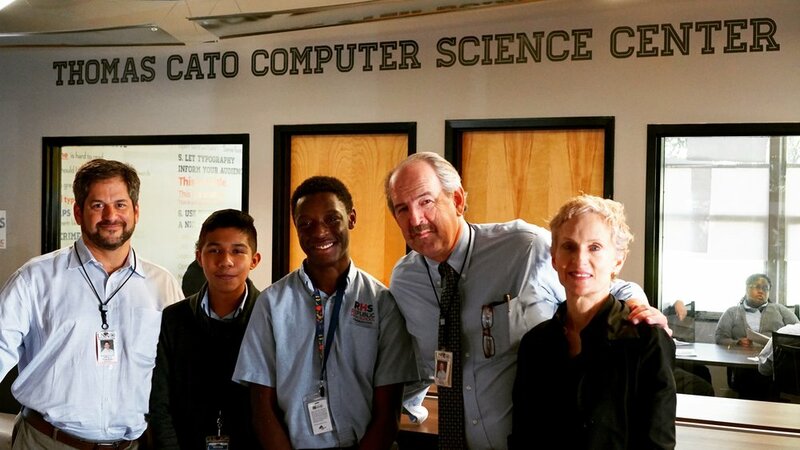 Celebrating with students and faculty at the opening of the Thomas Cato Computer Science Center at RePublic High School. Informed, rigorous, and balanced—Kate Ezell can provide the energy and focus to connect your organization to the community, or the community to your organization, build relationships, and create change. Ezell Consulting’s recent clients include Teach For America, the Tennessee Charter School Center, Gray Line Transportation, Communities in Schools, YWCA MEND, TestRocker, and YouScience. Read Kate’s bio and reach out today to learn how she can help your organization.